AUSTIN, Texas – August 9, 2016 – For decades retailers have used background music to enhance brand image and elevate the customer experience, but it turns out that music isn’t just for brands and customers anymore. PetSmart has chosen Mood Media to take the audio experience to a whole new level with customized music designed to appeal to pet parent shoppers and also their four-legged furry friends. As North America’s leading specialty pet retailer dedicated to solutions and services for the lifetime needs of pets, PetSmart is rolling out the innovative music solution to its 1,450-plus locations and has adopted a forward-thinking approach using two music programs to distinguish between the main shopping area and its “store-within-a-store” PetsHotel on-site boarding facility. Music in the larger store environment features an upbeat playlist to create a fun, in-store retail experience for passionate pet parents, their pet family members, as well as store associates. When pets have a get-away stay at the PetsHotel, they will be treated with a unique playlist experience featuring modern mellow tunes to create a calm atmosphere to help pets relax and enjoy their stay. Mood is delivering PetSmart’s music via its proprietary ProFusion iS Internet platform. The solution includes a web-based digital media manager that allows businesses to automatically schedule music dayparts, incorporate voice messaging and control all content at the corporate, regional or store level. Leveraging its project management expertise and vast service network, Mood successfully installed all 1,466 PetSmart locations in just 10 weeks. PetSmart, Inc. is the largest specialty pet retailer of services and solutions for the lifetime needs of pets. At PetSmart, we love pets, and we believe pets make us better people. Every day with every connection, PetSmart’s passionate associates help bring pet parents closer to their pets so they can live more fulfilled lives. This vision impacts everything we do for our customers, the way we support our associates and how we give back to our communities. We employ approximately 53,000 associates, operate 1,466 pet stores in the United States, Canada and Puerto Rico and 203 in-store PetSmart® PetsHotel® dog and cat boarding facilities. 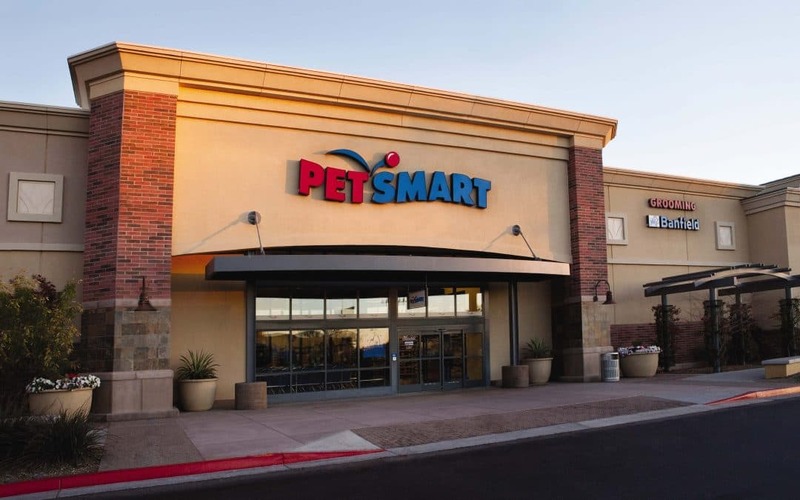 PetSmart provides a broad range of competitively priced pet food and pet products and offers dog training, pet grooming, pet boarding, PetSmart Doggie Day Camp day care services and pet adoption services in-store. Our portfolio of digital resources for pet parents – including PetSmart.com, PetFoodDirect.com, Pet360.com and petMD.com – offers the most comprehensive online pet supplies and pet care information in the U.S. Through our in-store pet adoption partnership with independent nonprofit organizations, PetSmart Charities® and PetSmart Charities™ of Canada, PetSmart helps to save the lives of more than 500,000 homeless pets each year.